This is the account of one family's struggle to survive the iniquities of Saddam Hussein's savage dictatorship. A proud man, father and soldier struggles to protect himself, and his family, from tyranny. 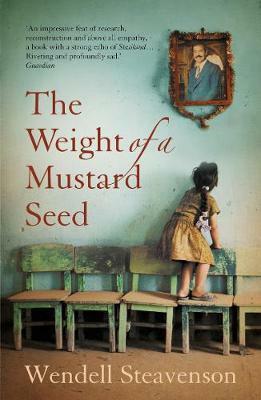 LONGLISTED FOR DOLMAN TRAVEL BOOK OF THE YEAR AWARD 2010 In The Weight of a Mustard Seed, Wendell Steavenson tells the true story of General Kamel Sachet, a decorated hero of the long Iran-Iraq war and a favourite of Saddam Hussein's. As Steavenson reveals the emotional and psychological scars the Sachet family suffer as a result of decades spent living with war and repression, she reaches towards the heart of a previously unspoken story of Iraq: a once prosperous nation, reduced by Hussein's megalomania and paranoia to bankruptcy, corruption and impotence. 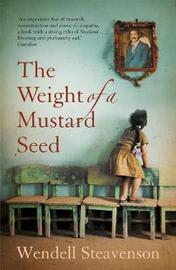 The result is an intimate, startling and gripping account of the slow destruction of Sachet, his family and his country. Reminiscent in part of Stasiland and The Bookseller of Kabul, it is a career-defining book for Wendell Steavenson. Wendell Steavenson is the author of the acclaimed Stories I Stole (Atlantic Books, 2002), which was shortlisted for the Guardian First Book Award and the Thomas Cook Travel Book Award. She has worked for Time and written for a variety of publications including the Telegraph, Granta, Prospect and the New Yorker. She lives in Paris.